Portugal is known not only for its wonderful climate, rich history and culture, and wine and port, but also for its truly stunning championship golf courses that rank as some of the most beautiful in the world. This itinerary is designed to allow you to enjoy a combination of Portuguese history and culture while playing some of the most magnificent courses in Europe. 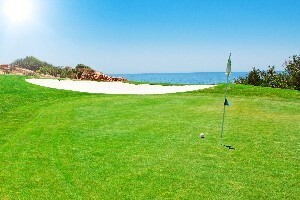 If you have more time, why not add in another destination and more golf! 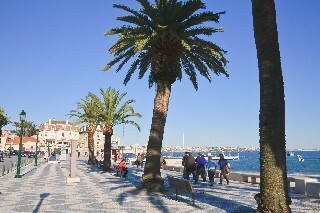 On your arrival in Lisbon, we will welcome you at the airport and transfer you to your hotel in Cascais. Spend the day relaxing on the coast, and explore this charming town, formerly a quaint fishing village, that became (along with Estoril) a popular resort and then refuge favored by the European nobility and kings in the 20th century. Today it is a colorful cosmopolitan town with cobbled streets, luxurious villas, cute shops, and plenty of restaurants and bars. At the end of the day, be sure to enjoy a wonderful dinner of fresh fish beside the sea. Collect the rental car today. After 18 holes at one of the most magnificent courses in the area, see some of the area. You can take a drive along the coast to the most western point in Continental Europe, stopping to visit some of the small villages along the way, walk on a beach surrounded by fabulous rock formations, or head to Estoril, home to the largest casino in Europe, and inspiration to Ian Fleming’s Casino Royal. After another round at a spectacular course in the Cascais area, drive 1 hour north to the medieval walled village of Óbidos. 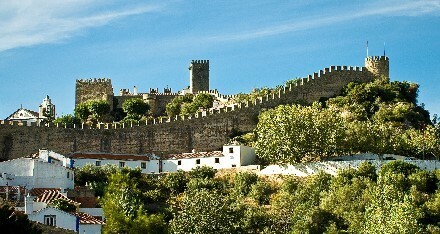 This picturesque town is filled with white-washed houses and bougainvillea and crowned by a castle. Spend the evening exploring the village, walking the ramparts, and perhaps enjoying dinner in the castle! Today, take in some culture with visits to two World Heritage sites, then head to the coastal town of Nazaré – where you might see women in their their traditional black dresses with layered petticoats, and the fish drying on racks in the sun. In Alcobaça, you can visit the Abbey of Santa Maria, founded to commemorate a victory against the Moors in the 12th C. A World Heritage Site, it is the best example of Cistercian architecture in Europe, being Gothic in structure, it also exemplifies Baroque, and Manueline styles. In Batalha, the abbey is another World Heritage site, and is one of Europe’s greatest Gothic masterpieces. You will also see an outstanding example of Manueline architecture, with symbols of flowers and plants from the newly discovered lands as well as other seafaring motifs from the art during the Age of Discovery. Batalha also is home to the tomb of Prince Henry the Navigator, and Portugal’s tomb of its unknown soldiers. Head to the coast to golf at Praia del Rey, where you will enjoy “a mix of holes - some in the mighty dunes, others among fragrant pines - that are an assault to the senses. Wild and wonderful...” (Golf World Magazine). This setting is one of the favorites along the Silver coast. Afterwards, enjoy some time at Clubhouse, with panoramic views overlooking the Atlantic Ocean. Or head to the town of Peniche, for some time on a beach, visit a winery or two in the area, or return to explore the shops and artisans of Óbidos. After a challenging round at the fantastic Royal d’Obidos, continue just an hour to your last stop, Lisbon. Return the rental car - you will not need it in Lisbon! In the afternoon / evening, wander around the historic center, with some suggested stops for a drink as the sun sets over the city. Spend the day with a private guide. Tour the historic center and the fantastic neighborhoods of the Baixa, Alfama, and Chiado, and visit the Belém district, the part of Lisbon dedicated to the explorers. And of course you cannot miss an evening of dinner with Fado, Portugal’s World Heritage Music! Transfer from your hotel to the Lisbon airport.